Working with thousands of kitchens around the world, empowering them to prevent food waste, LeanPath is in a unique position to understand the common sources of food waste--and how to get control of them. LeanPath’s Executive Chef & Food Waste Prevention Catalyst Robb White conducts hundreds of coaching sessions with chefs every month. He has taught them, and he has learned from them. He has distilled his work into the Top 5 Food Waste Sources and the questions to ask your kitchen staff to find out exactly where they can be more efficient and effective. 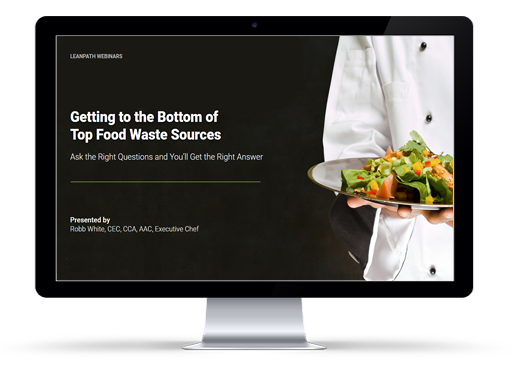 Considering most kitchens waste between 7 and 10 percent of the food they buy, you can't afford to miss this information-packed 30-minute webinar.